OFFERS DUE MONDAY, FEBRUARY 11th BY 10:00AM. 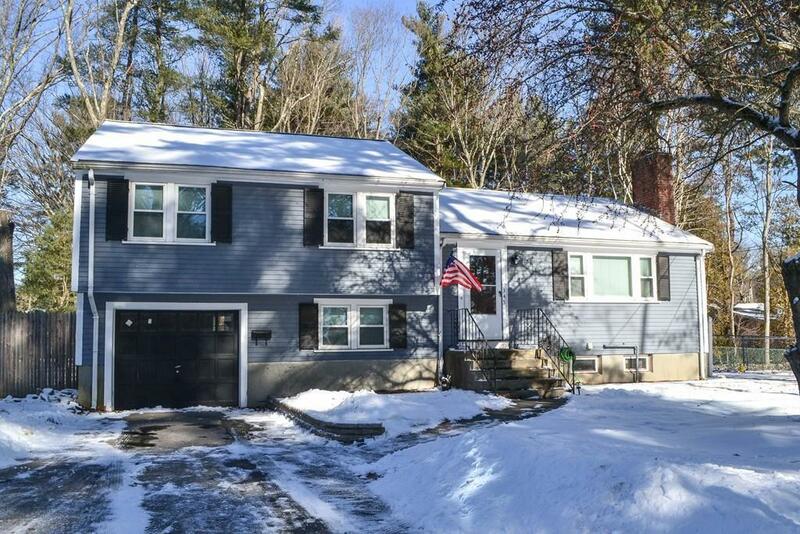 Move right into this North Framingham delight with so much to offer. The generous living room with hardwood flooring is warm and inviting and lends itself for entertaining or enjoying a quiet evening in front of the fireplace. The living room leads to an open concept dining room featuring a slider to the deck and extremely spacious fenced yard. Updated kitchen features granite countertops and new appliances to remain for new owners - gas range, dishwasher and fridge. Nicely finished lower level offers an abundance of space with an office/spare room and a tastefully renovated family room, half bath and access to the garage. Other features include newer roof (2016), new windows with warranty, central A/C, ample parking, garage and fenced yard. First public open houses Saturday February 9th and Sunday February 10th or book a private showing today!